Fuzzy TOPSIS علاوه بر ارائه اولویت بازسازی لوله‌ها، سیاست‌های بازسازی آنها نیز مستقل از اطلاعات بهره‌برداری ارائه می‌شود. با استفاده از مدل توسعه داده شده، اولویت‌بندی بازسازی لوله‌های یک شبکه توزیع آب دو حلقه‌ای به‌همراه سیاست‌های بازسازی آنها با دو روش: 1) استفاده از الگوی پیش فرض مدل WDSR-Min؛ و 2) استفاده از الگو منطبق با شرایط مسئله موجود مورد بررسی قرار گرفت و نتایج آن با هم مقایسه شد. نتایج به‌دست آمده بیانگر آن است که برنامه بازسازی به‌دست آمده از مدل WDSR-Min، منطبق بر نیازهای واقعی لوله‌های شبکه توزیع آب برای عملیات بازسازی است. همچنین مشخص شد که برای تعیین اولویت بازسازی لوله‌ها ابتدا باید معیارهای مدل با شرایط منطقه مورد بررسی، تطبیق داده شود؛ در حالی که برای تعیین سیاست‌های بازسازی لوله‌ها ضروری است که صرفاً از الگوی پیش فرض مدل WDSR-Min استفاده شود. به‌وسیله مدل ارائه شده در این پژوهش می‌توان با استفاده از حداقل اطلاعات ساختاری شبکه‌های توزیع آب و مستقل از اطلاعات بهره‌برداری، اولویت‌بندی و سیاست‌های بازسازی لوله‌های شبکه را با دقت قابل قبولی تعیین نمود. Having a reliable rehabilitation plan with sufficient operational data is crucially important for the operation and maintenance of a water distribution systems. This research was conducted to develop a prioritization model for planning the rehabilitation of pipes in water networks when minimum structural data is available. To accomplish the main objective of the study, WDSR-Min model with Fuzzy TOPSIS technique capability was used to prioritize the pipes rehabilitation. The proposed model was used for the prioritization of pipes rehabilitation in a two-loop water distribution system. The prioritization of pipes rehabilitation were evaluated under two methods by using: 1) the pre-defined template of the WDSR-Min model, and 2) the template consistent with the conditions of the study area. The results showed that the rehabilitation plan obtained from WDSR-Min was aligned with the real needs for rehabilitation in the water network pipes. Furthermore, it was found that to prioritize the pipes rehabilitation it was preferred to localize the model criteria for the conditions of the study area, while to determine the pipes rehabilitation strategies the use of the pre-defined template of the WDSR-Min model was preferred. Using the proposed model in this work makes it possible to determine the prioritization/strategies of pipes rehabilitation using the minimum structural data of water distribution networks and independent of operational data. Alperovits, E. & Shamir, U., 1977, "Design of optimal water distribution systems", Water Resources Research, 13 (6), 885-900. Alvisi, S. & Franchini, M., 2009, "Multiobjective optimization of rehabilitation and leakage detection scheduling in water distribution systems", Journal of Water Resources Planning and Management, 135 (6), 426-439. AWWA, 2014, Rehabilitation of water mains-m28, 3rdEd., American Water Works Association, USA. Bazargan-Lari, M.R., 2014, "An evidential reasoning approach to optimal monitoring of drinking water distribution systems for detecting deliberate contamination events", Journal of Cleaner Production, 78, 1-14. Bhave, P.R. & Gupta, R., 2006, Analysis of water distribution networks, Alpha Science Int'l Ltd., UK. Carrico, N., Covas, D., Almeida, M.C., Leitão, J. & Alegre, H., 2012, "Prioritization of rehabilitation interventions for urban water assets using multiple criteria decision-aid methods", Water Science and Technology, 66 (5), 1007-1014. Chandramouli, S. & Malleswararao, P., 2011, "Reliability based optimal design of a water distribution network for municipal water supply", International Journal of Engineering and Technology,3 (1), 13-19. Choi, T., Han, J. & Koo, J., 2015, "Decision method for rehabilitation priority of water distribution system using electre method", Desalination and Water Treatment, 53 (9), 2369-2377. Cioc, D. & Anton, A., 2004, "Can the water supply rehabilitation process be prioritized on technical grounds", Transactions on Mechanics, Scientific Bulletin “Politehnica” University of Timişoara, 49 (63), 21-22. Ekinci, Ö. & Konak, H., 2009. "An optimization strategy for water distribution networks", Water Resources Management, 23 (1), 169-185. Engelhardt, M., Skipworth, P., Savic, D., Saul, A. & Walters, G., 2000. "Rehabilitation strategies for water distribution networks: A literature review with a uk perspective", Urban Water, 2 (2), 153-170. Farley, M., 2001, Leakage management and control, A best practice training manual, WHO, Geneva, Switzerland. Farley, M. & Trow, S., 2003, Losses in water distribution networks: A practitioner's guide to assessment, monitoring and control, IWA Publishing, London. Gomes, H.P., Bezerra, S.D.T.M. & Srinivasan, V.S., 2008. "An iterative optimisation procedure for the rehabilitation of water-supply pipe networks", Water,34 (2), 225-235. Hibbeler, R.C., Tan, K.-H. & Nolan, B., 2006. Structural analysis, Pearson Prentice Hall, N.Y.
Ho, C.-I., Lin, M.-D. & Lo, S.-L., 2010. "Use of a gis-based hybrid artificial neural network to prioritize the order of pipe replacement in a water distribution network", Environmental Monitoring and Assessment, 166 (1-4), 177-189. Jarquio, R.V., 2007, Structural analysis: The analytical method, CRC Press, USA. Kabir, G., Sadiq, R. & Tesfamariam, S., 2014. "A review of multi-criteria decision-making methods for infrastructure management", Structure and Infrastructure Engineering, 10 (9), 1176-1210. Kabir, G., Tesfamariam, S., Francisque, A. & Sadiq, R., 2015, "Evaluating risk of water mains failure using a bayesian belief network model", European Journal of Operational Research,240 (1), 220-234. Kahraman, C., 2008, Fuzzy multi-criteria decision making: Theory and applications with recent developments: Springer Science & Business Media. Li, F., Ma, L., Sun, Y. & Mathew, J., 2015, "Optimized group replacement scheduling for water pipeline network", Journal of Water Resources Planning and Management, 142 (1), Article ID: 04015035. Marzouk, M., Hamid, S.A. & El-Said, M., 2015, "A methodology for prioritizing water mains rehabilitation in Egypt", HBRC Journal, 11 (1), 114-128. Marzouk, M. & Osama, A., 2015. "Fuzzy approach for optimum replacement time of mixed infrastructures", Civil Engineering and Environmental Systems, 32 (3), 269-280. Moser, A.P., 1990, Buried pipe design, McGraw-Hill, New York. Punmia, B., Jain, A.K. & Jain, A.K., 1995, Water supply engineering, Firewall Media. 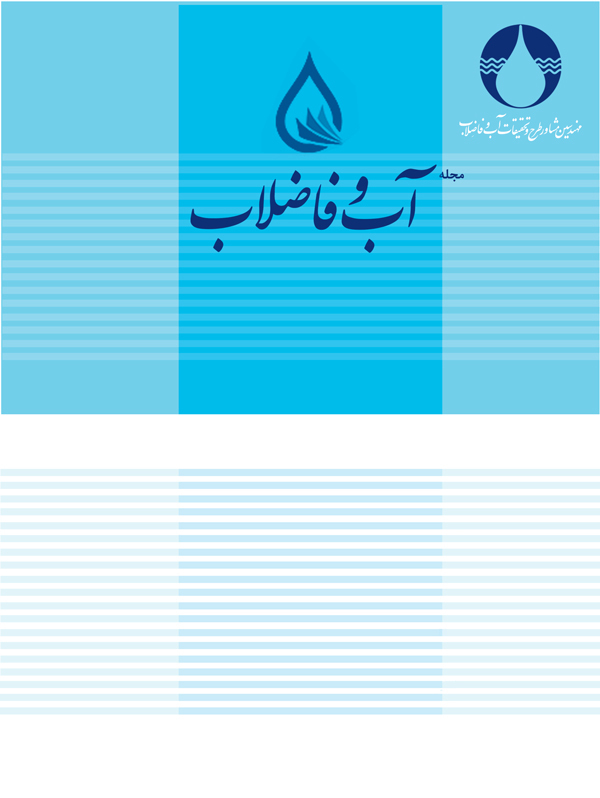 Rahmani, F., Behzadian, K. & Ardeshir, A., 2015, "Rehabilitation of a water distribution system using sequential multiobjective optimization models", Journal of Water Resources Planning and Management, 142 (5), Article ID: C4015003. Salehi, S., Jalili Ghazizadeh, M. & Tabesh, M., 2017, "A comprehensive criteria-based multi-attribute decision-making model for rehabilitation of water distribution systems", Structure and Infrastructure Engineering. Accepted paper with DOI: 10.1080/15732479.2017.1359633. Salehi, S., Tabesh, M., Jalili Ghazizadeh, M.R., 2018, "HRDM method for rehabilitaion of pipes in water distribution networks with inaccurate operational failure data", Journal of Water Resources Planing and Management, Accepted paper, doi: 10.1061. ASCE.WR.1943-5452.0000943. Scholten, L., Scheidegger, A., Reichert, P., Mauer, M. & Lienert, J., 2014, "Strategic rehabilitation planning of piped water networks using multi-criteria decision analysis", Water Research, 49, 124-143. Shammas, N.K. & Wang, L.K., 2011, Water supply and wastewater removal, John Wiley & Sons, N.Y.
Siew, C., Tanyimboh, T.T. & Seyoum, A.G., 2014. "Assessment of penalty-free multi-objective evolutionary optimization approach for the design and rehabilitation of water distribution systems", Water Resources Management, 28 (2), 373-389. Sil, B.S., Banerjee, P., Kumar, A., Bui, P.J. & Saikia, P., 2013, "Use of excel-solver as an optimization tool in design of pipe network", International Journal of Hydraulic Engineering,2 (4), 59-63. Swamee, P.K. & Sharma, A.K., 2008, Design of water supply pipe networks, John Wiley & Sons, N.Y.
Tabesh, M. & Saber, H., 2012, "A prioritization model for rehabilitation of water distribution networks using gis", Water Resources Management, 26 (1), 225-241. Tee, K.F., Khan, L.R., Chen, H.P. & Alani, A.M., 2014. "Reliability based life cycle cost optimization for underground pipeline networks", Tunnelling and Underground Space Technology, 43, 32-40. Thornton, J., Sturm, R. & Kunkel, G., 2008, Water loss control, McGraw-Hill, New York. Trifunovic, N., 2006. Introduction to urban water distribution: Unesco-ihe lecture note series, CRC Press, USA. Tscheikner-Gratl, F., Egger, P., Rauch, W. & Kleidorfer, M., 2017. "Comparison of multi-criteria decision support methods for integrated rehabilitation prioritization", Water, 9 (2), 68, doi : 10.3390/w9020068. Tscheikner-Gratl, F., Sitzenfrei, R., Rauch, W. & Kleidorfer, M., 2016. "Integrated rehabilitation planning of urban infrastructure systems using a street section priority model", Urban Water Journal, 13 (1), 28-40. Tzeng, G.-H. & Huang, J.-J., 2011, Multiple attribute decision making: Methods and applications, CRC Press, USA. Vommi, V., 2017, "Topsis with statistical distances: A new approach to MADM", Decision Science Letters, 6 (1), 49-66. Walski, T.M., Chase, D.V., Savic, D.A., Grayman, W.M., Beckwith, S. & Koelle, E., 2003, Advanced water distribution modeling and management, Haestad Press, Water bury, CT.
Wang, H. & Chen, X., 2015, "Optimization of maintenance planning for water distribution networks under random failures", Journal of Water Resources Planning and Management, 142 (2), Aricle ID: 04015063. Watkins, R.K. & Anderson, L.R., 2010, Structural mechanics of buried pipes, CRC Press, USA.